" ABBOTS LANGLEY - click to expand town entries - we'll also show you other persons at the address, year registered and other info too - 24 hours access is just £3.50 with unlimited searches. This is just one record from over 400 million entries we have available to search"
" ABERAERON - click to expand town entries - we'll also show you other persons at the address, year registered and other info too - 24 hours access is just £3.50 with unlimited searches. This is just one record from over 400 million entries we have available to search"
" ABERDARE - click to expand town entries - we'll also show you other persons at the address, year registered and other info too - 24 hours access is just £3.50 with unlimited searches. This is just one record from over 400 million entries we have available to search"
" ABERDEEN - click to expand town entries - we'll also show you other persons at the address, year registered and other info too - 24 hours access is just £3.50 with unlimited searches. This is just one record from over 400 million entries we have available to search"
" ABERDOVEY - click to expand town entries - we'll also show you other persons at the address, year registered and other info too - 24 hours access is just £3.50 with unlimited searches. This is just one record from over 400 million entries we have available to search"
" ABERFELDY - click to expand town entries - we'll also show you other persons at the address, year registered and other info too - 24 hours access is just £3.50 with unlimited searches. This is just one record from over 400 million entries we have available to search"
" ABERGAVENNY - click to expand town entries - we'll also show you other persons at the address, year registered and other info too - 24 hours access is just £3.50 with unlimited searches. This is just one record from over 400 million entries we have available to search"
" ABERGELE - click to expand town entries - we'll also show you other persons at the address, year registered and other info too - 24 hours access is just £3.50 with unlimited searches. This is just one record from over 400 million entries we have available to search"
" ABERLOUR - click to expand town entries - we'll also show you other persons at the address, year registered and other info too - 24 hours access is just £3.50 with unlimited searches. This is just one record from over 400 million entries we have available to search"
" ABERTILLERY - click to expand town entries - we'll also show you other persons at the address, year registered and other info too - 24 hours access is just £3.50 with unlimited searches. This is just one record from over 400 million entries we have available to search"
" ABERYSTWYTH - click to expand town entries - we'll also show you other persons at the address, year registered and other info too - 24 hours access is just £3.50 with unlimited searches. This is just one record from over 400 million entries we have available to search"
" ABINGDON - click to expand town entries - we'll also show you other persons at the address, year registered and other info too - 24 hours access is just £3.50 with unlimited searches. This is just one record from over 400 million entries we have available to search"
" ABOYNE - click to expand town entries - we'll also show you other persons at the address, year registered and other info too - 24 hours access is just £3.50 with unlimited searches. This is just one record from over 400 million entries we have available to search"
" ACCRINGTON - click to expand town entries - we'll also show you other persons at the address, year registered and other info too - 24 hours access is just £3.50 with unlimited searches. This is just one record from over 400 million entries we have available to search"
" ACHARACLE - click to expand town entries - we'll also show you other persons at the address, year registered and other info too - 24 hours access is just £3.50 with unlimited searches. This is just one record from over 400 million entries we have available to search"
" ACHNASHEEN - click to expand town entries - we'll also show you other persons at the address, year registered and other info too - 24 hours access is just £3.50 with unlimited searches. This is just one record from over 400 million entries we have available to search"
" ADDLESTONE - click to expand town entries - we'll also show you other persons at the address, year registered and other info too - 24 hours access is just £3.50 with unlimited searches. This is just one record from over 400 million entries we have available to search"
" AIRDRIE - click to expand town entries - we'll also show you other persons at the address, year registered and other info too - 24 hours access is just £3.50 with unlimited searches. This is just one record from over 400 million entries we have available to search"
" ALCESTER - click to expand town entries - we'll also show you other persons at the address, year registered and other info too - 24 hours access is just £3.50 with unlimited searches. This is just one record from over 400 million entries we have available to search"
" ALDEBURGH - click to expand town entries - we'll also show you other persons at the address, year registered and other info too - 24 hours access is just £3.50 with unlimited searches. This is just one record from over 400 million entries we have available to search"
" ALDERLEY EDGE - click to expand town entries - we'll also show you other persons at the address, year registered and other info too - 24 hours access is just £3.50 with unlimited searches. This is just one record from over 400 million entries we have available to search"
" ALDERSHOT - click to expand town entries - we'll also show you other persons at the address, year registered and other info too - 24 hours access is just £3.50 with unlimited searches. This is just one record from over 400 million entries we have available to search"
" ALEXANDRIA - click to expand town entries - we'll also show you other persons at the address, year registered and other info too - 24 hours access is just £3.50 with unlimited searches. This is just one record from over 400 million entries we have available to search"
" ALFORD - click to expand town entries - we'll also show you other persons at the address, year registered and other info too - 24 hours access is just £3.50 with unlimited searches. This is just one record from over 400 million entries we have available to search"
" ALFRETON - click to expand town entries - we'll also show you other persons at the address, year registered and other info too - 24 hours access is just £3.50 with unlimited searches. This is just one record from over 400 million entries we have available to search"
" ALLOA - click to expand town entries - we'll also show you other persons at the address, year registered and other info too - 24 hours access is just £3.50 with unlimited searches. This is just one record from over 400 million entries we have available to search"
" ALNESS - click to expand town entries - we'll also show you other persons at the address, year registered and other info too - 24 hours access is just £3.50 with unlimited searches. This is just one record from over 400 million entries we have available to search"
" ALNWICK - click to expand town entries - we'll also show you other persons at the address, year registered and other info too - 24 hours access is just £3.50 with unlimited searches. This is just one record from over 400 million entries we have available to search"
" ALRESFORD - click to expand town entries - we'll also show you other persons at the address, year registered and other info too - 24 hours access is just £3.50 with unlimited searches. This is just one record from over 400 million entries we have available to search"
" ALSTON - click to expand town entries - we'll also show you other persons at the address, year registered and other info too - 24 hours access is just £3.50 with unlimited searches. This is just one record from over 400 million entries we have available to search"
" ALTON - click to expand town entries - we'll also show you other persons at the address, year registered and other info too - 24 hours access is just £3.50 with unlimited searches. This is just one record from over 400 million entries we have available to search"
" ALTRINCHAM - click to expand town entries - we'll also show you other persons at the address, year registered and other info too - 24 hours access is just £3.50 with unlimited searches. This is just one record from over 400 million entries we have available to search"
" ALVA - click to expand town entries - we'll also show you other persons at the address, year registered and other info too - 24 hours access is just £3.50 with unlimited searches. This is just one record from over 400 million entries we have available to search"
" AMBLESIDE - click to expand town entries - we'll also show you other persons at the address, year registered and other info too - 24 hours access is just £3.50 with unlimited searches. This is just one record from over 400 million entries we have available to search"
" AMERSHAM - click to expand town entries - we'll also show you other persons at the address, year registered and other info too - 24 hours access is just £3.50 with unlimited searches. This is just one record from over 400 million entries we have available to search"
" AMLWCH - click to expand town entries - we'll also show you other persons at the address, year registered and other info too - 24 hours access is just £3.50 with unlimited searches. This is just one record from over 400 million entries we have available to search"
" AMMANFORD - click to expand town entries - we'll also show you other persons at the address, year registered and other info too - 24 hours access is just £3.50 with unlimited searches. This is just one record from over 400 million entries we have available to search"
" ANDOVER - click to expand town entries - we'll also show you other persons at the address, year registered and other info too - 24 hours access is just £3.50 with unlimited searches. This is just one record from over 400 million entries we have available to search"
" ANNAN - click to expand town entries - we'll also show you other persons at the address, year registered and other info too - 24 hours access is just £3.50 with unlimited searches. This is just one record from over 400 million entries we have available to search"
" ANSTRUTHER - click to expand town entries - we'll also show you other persons at the address, year registered and other info too - 24 hours access is just £3.50 with unlimited searches. This is just one record from over 400 million entries we have available to search"
" ANTRIM - click to expand town entries - we'll also show you other persons at the address, year registered and other info too - 24 hours access is just £3.50 with unlimited searches. This is just one record from over 400 million entries we have available to search"
" APPIN - click to expand town entries - we'll also show you other persons at the address, year registered and other info too - 24 hours access is just £3.50 with unlimited searches. This is just one record from over 400 million entries we have available to search"
" APPLEBY IN WESTMORLAND - click to expand town entries - we'll also show you other persons at the address, year registered and other info too - 24 hours access is just £3.50 with unlimited searches. This is just one record from over 400 million entries we have available to search"
" ARBROATH - click to expand town entries - we'll also show you other persons at the address, year registered and other info too - 24 hours access is just £3.50 with unlimited searches. This is just one record from over 400 million entries we have available to search"
" ARDGAY - click to expand town entries - we'll also show you other persons at the address, year registered and other info too - 24 hours access is just £3.50 with unlimited searches. This is just one record from over 400 million entries we have available to search"
" ARDROSSAN - click to expand town entries - we'll also show you other persons at the address, year registered and other info too - 24 hours access is just £3.50 with unlimited searches. This is just one record from over 400 million entries we have available to search"
" ARISAIG - click to expand town entries - we'll also show you other persons at the address, year registered and other info too - 24 hours access is just £3.50 with unlimited searches. This is just one record from over 400 million entries we have available to search"
" ARLESEY - click to expand town entries - we'll also show you other persons at the address, year registered and other info too - 24 hours access is just £3.50 with unlimited searches. This is just one record from over 400 million entries we have available to search"
" ARMAGH - click to expand town entries - we'll also show you other persons at the address, year registered and other info too - 24 hours access is just £3.50 with unlimited searches. This is just one record from over 400 million entries we have available to search"
" ARROCHAR - click to expand town entries - we'll also show you other persons at the address, year registered and other info too - 24 hours access is just £3.50 with unlimited searches. This is just one record from over 400 million entries we have available to search"
" ARTHOG - click to expand town entries - we'll also show you other persons at the address, year registered and other info too - 24 hours access is just £3.50 with unlimited searches. This is just one record from over 400 million entries we have available to search"
" ARUNDEL - click to expand town entries - we'll also show you other persons at the address, year registered and other info too - 24 hours access is just £3.50 with unlimited searches. This is just one record from over 400 million entries we have available to search"
" ASCOT - click to expand town entries - we'll also show you other persons at the address, year registered and other info too - 24 hours access is just £3.50 with unlimited searches. This is just one record from over 400 million entries we have available to search"
" ASHBOURNE - click to expand town entries - we'll also show you other persons at the address, year registered and other info too - 24 hours access is just £3.50 with unlimited searches. This is just one record from over 400 million entries we have available to search"
" ASHBY DE LA ZOUCH - click to expand town entries - we'll also show you other persons at the address, year registered and other info too - 24 hours access is just £3.50 with unlimited searches. This is just one record from over 400 million entries we have available to search"
" ASHFORD - click to expand town entries - we'll also show you other persons at the address, year registered and other info too - 24 hours access is just £3.50 with unlimited searches. This is just one record from over 400 million entries we have available to search"
" ASHINGTON - click to expand town entries - we'll also show you other persons at the address, year registered and other info too - 24 hours access is just £3.50 with unlimited searches. This is just one record from over 400 million entries we have available to search"
" ASHTEAD - click to expand town entries - we'll also show you other persons at the address, year registered and other info too - 24 hours access is just £3.50 with unlimited searches. This is just one record from over 400 million entries we have available to search"
" ASHTON UNDER LYNE - click to expand town entries - we'll also show you other persons at the address, year registered and other info too - 24 hours access is just £3.50 with unlimited searches. This is just one record from over 400 million entries we have available to search"
" ASKAM IN FURNESS - click to expand town entries - we'll also show you other persons at the address, year registered and other info too - 24 hours access is just £3.50 with unlimited searches. This is just one record from over 400 million entries we have available to search"
" ATHERSTONE - click to expand town entries - we'll also show you other persons at the address, year registered and other info too - 24 hours access is just £3.50 with unlimited searches. This is just one record from over 400 million entries we have available to search"
" ATTLEBOROUGH - click to expand town entries - we'll also show you other persons at the address, year registered and other info too - 24 hours access is just £3.50 with unlimited searches. This is just one record from over 400 million entries we have available to search"
" AUCHTERARDER - click to expand town entries - we'll also show you other persons at the address, year registered and other info too - 24 hours access is just £3.50 with unlimited searches. This is just one record from over 400 million entries we have available to search"
" AUGHER - click to expand town entries - we'll also show you other persons at the address, year registered and other info too - 24 hours access is just £3.50 with unlimited searches. This is just one record from over 400 million entries we have available to search"
" AUGHNACLOY - click to expand town entries - we'll also show you other persons at the address, year registered and other info too - 24 hours access is just £3.50 with unlimited searches. This is just one record from over 400 million entries we have available to search"
" AVIEMORE - click to expand town entries - we'll also show you other persons at the address, year registered and other info too - 24 hours access is just £3.50 with unlimited searches. This is just one record from over 400 million entries we have available to search"
" AVOCH - click to expand town entries - we'll also show you other persons at the address, year registered and other info too - 24 hours access is just £3.50 with unlimited searches. This is just one record from over 400 million entries we have available to search"
" AXBRIDGE - click to expand town entries - we'll also show you other persons at the address, year registered and other info too - 24 hours access is just £3.50 with unlimited searches. This is just one record from over 400 million entries we have available to search"
" AXMINSTER - click to expand town entries - we'll also show you other persons at the address, year registered and other info too - 24 hours access is just £3.50 with unlimited searches. This is just one record from over 400 million entries we have available to search"
" AYLESBURY - click to expand town entries - we'll also show you other persons at the address, year registered and other info too - 24 hours access is just £3.50 with unlimited searches. This is just one record from over 400 million entries we have available to search"
" AYLESFORD - click to expand town entries - we'll also show you other persons at the address, year registered and other info too - 24 hours access is just £3.50 with unlimited searches. This is just one record from over 400 million entries we have available to search"
" AYR - click to expand town entries - we'll also show you other persons at the address, year registered and other info too - 24 hours access is just £3.50 with unlimited searches. This is just one record from over 400 million entries we have available to search"
" BACUP - click to expand town entries - we'll also show you other persons at the address, year registered and other info too - 24 hours access is just £3.50 with unlimited searches. This is just one record from over 400 million entries we have available to search"
" BADMINTON - click to expand town entries - we'll also show you other persons at the address, year registered and other info too - 24 hours access is just £3.50 with unlimited searches. This is just one record from over 400 million entries we have available to search"
" BAGILLT - click to expand town entries - we'll also show you other persons at the address, year registered and other info too - 24 hours access is just £3.50 with unlimited searches. This is just one record from over 400 million entries we have available to search"
" BAGSHOT - click to expand town entries - we'll also show you other persons at the address, year registered and other info too - 24 hours access is just £3.50 with unlimited searches. This is just one record from over 400 million entries we have available to search"
" BAKEWELL - click to expand town entries - we'll also show you other persons at the address, year registered and other info too - 24 hours access is just £3.50 with unlimited searches. This is just one record from over 400 million entries we have available to search"
" BALA - click to expand town entries - we'll also show you other persons at the address, year registered and other info too - 24 hours access is just £3.50 with unlimited searches. This is just one record from over 400 million entries we have available to search"
" BALDOCK - click to expand town entries - we'll also show you other persons at the address, year registered and other info too - 24 hours access is just £3.50 with unlimited searches. This is just one record from over 400 million entries we have available to search"
" BALERNO - click to expand town entries - we'll also show you other persons at the address, year registered and other info too - 24 hours access is just £3.50 with unlimited searches. This is just one record from over 400 million entries we have available to search"
" BALLACHULISH - click to expand town entries - we'll also show you other persons at the address, year registered and other info too - 24 hours access is just £3.50 with unlimited searches. This is just one record from over 400 million entries we have available to search"
" BALLATER - click to expand town entries - we'll also show you other persons at the address, year registered and other info too - 24 hours access is just £3.50 with unlimited searches. This is just one record from over 400 million entries we have available to search"
" BALLINDALLOCH - click to expand town entries - we'll also show you other persons at the address, year registered and other info too - 24 hours access is just £3.50 with unlimited searches. This is just one record from over 400 million entries we have available to search"
" BALLYCASTLE - click to expand town entries - we'll also show you other persons at the address, year registered and other info too - 24 hours access is just £3.50 with unlimited searches. This is just one record from over 400 million entries we have available to search"
" BALLYCLARE - click to expand town entries - we'll also show you other persons at the address, year registered and other info too - 24 hours access is just £3.50 with unlimited searches. This is just one record from over 400 million entries we have available to search"
" BALLYMENA - click to expand town entries - we'll also show you other persons at the address, year registered and other info too - 24 hours access is just £3.50 with unlimited searches. This is just one record from over 400 million entries we have available to search"
" BALLYMONEY - click to expand town entries - we'll also show you other persons at the address, year registered and other info too - 24 hours access is just £3.50 with unlimited searches. This is just one record from over 400 million entries we have available to search"
" BALLYNAHINCH - click to expand town entries - we'll also show you other persons at the address, year registered and other info too - 24 hours access is just £3.50 with unlimited searches. This is just one record from over 400 million entries we have available to search"
" BAMBURGH - click to expand town entries - we'll also show you other persons at the address, year registered and other info too - 24 hours access is just £3.50 with unlimited searches. This is just one record from over 400 million entries we have available to search"
" BAMPTON - click to expand town entries - we'll also show you other persons at the address, year registered and other info too - 24 hours access is just £3.50 with unlimited searches. This is just one record from over 400 million entries we have available to search"
" BANBRIDGE - click to expand town entries - we'll also show you other persons at the address, year registered and other info too - 24 hours access is just £3.50 with unlimited searches. This is just one record from over 400 million entries we have available to search"
" BANBURY - click to expand town entries - we'll also show you other persons at the address, year registered and other info too - 24 hours access is just £3.50 with unlimited searches. This is just one record from over 400 million entries we have available to search"
" BANCHORY - click to expand town entries - we'll also show you other persons at the address, year registered and other info too - 24 hours access is just £3.50 with unlimited searches. This is just one record from over 400 million entries we have available to search"
" BANFF - click to expand town entries - we'll also show you other persons at the address, year registered and other info too - 24 hours access is just £3.50 with unlimited searches. This is just one record from over 400 million entries we have available to search"
" BANGOR - click to expand town entries - we'll also show you other persons at the address, year registered and other info too - 24 hours access is just £3.50 with unlimited searches. This is just one record from over 400 million entries we have available to search"
" BANSTEAD - click to expand town entries - we'll also show you other persons at the address, year registered and other info too - 24 hours access is just £3.50 with unlimited searches. This is just one record from over 400 million entries we have available to search"
" BANWELL - click to expand town entries - we'll also show you other persons at the address, year registered and other info too - 24 hours access is just £3.50 with unlimited searches. This is just one record from over 400 million entries we have available to search"
" BARGOED - click to expand town entries - we'll also show you other persons at the address, year registered and other info too - 24 hours access is just £3.50 with unlimited searches. This is just one record from over 400 million entries we have available to search"
" BARKING - click to expand town entries - we'll also show you other persons at the address, year registered and other info too - 24 hours access is just £3.50 with unlimited searches. This is just one record from over 400 million entries we have available to search"
" BARMOUTH - click to expand town entries - we'll also show you other persons at the address, year registered and other info too - 24 hours access is just £3.50 with unlimited searches. This is just one record from over 400 million entries we have available to search"
" BARNARD CASTLE - click to expand town entries - we'll also show you other persons at the address, year registered and other info too - 24 hours access is just £3.50 with unlimited searches. This is just one record from over 400 million entries we have available to search"
" BARNET - click to expand town entries - we'll also show you other persons at the address, year registered and other info too - 24 hours access is just £3.50 with unlimited searches. This is just one record from over 400 million entries we have available to search"
" BARNETBY - click to expand town entries - we'll also show you other persons at the address, year registered and other info too - 24 hours access is just £3.50 with unlimited searches. This is just one record from over 400 million entries we have available to search"
" BARNOLDSWICK - click to expand town entries - we'll also show you other persons at the address, year registered and other info too - 24 hours access is just £3.50 with unlimited searches. This is just one record from over 400 million entries we have available to search"
" BARNSLEY - click to expand town entries - we'll also show you other persons at the address, year registered and other info too - 24 hours access is just £3.50 with unlimited searches. This is just one record from over 400 million entries we have available to search"
" BARNSTAPLE - click to expand town entries - we'll also show you other persons at the address, year registered and other info too - 24 hours access is just £3.50 with unlimited searches. This is just one record from over 400 million entries we have available to search"
" BARROW IN FURNESS - click to expand town entries - we'll also show you other persons at the address, year registered and other info too - 24 hours access is just £3.50 with unlimited searches. This is just one record from over 400 million entries we have available to search"
" BARROW UPON HUMBER - click to expand town entries - we'll also show you other persons at the address, year registered and other info too - 24 hours access is just £3.50 with unlimited searches. This is just one record from over 400 million entries we have available to search"
" BARRY - click to expand town entries - we'll also show you other persons at the address, year registered and other info too - 24 hours access is just £3.50 with unlimited searches. This is just one record from over 400 million entries we have available to search"
" BARTON UPON HUMBER - click to expand town entries - we'll also show you other persons at the address, year registered and other info too - 24 hours access is just £3.50 with unlimited searches. This is just one record from over 400 million entries we have available to search"
" BASILDON - click to expand town entries - we'll also show you other persons at the address, year registered and other info too - 24 hours access is just £3.50 with unlimited searches. This is just one record from over 400 million entries we have available to search"
" BASINGSTOKE - click to expand town entries - we'll also show you other persons at the address, year registered and other info too - 24 hours access is just £3.50 with unlimited searches. This is just one record from over 400 million entries we have available to search"
" BATH - click to expand town entries - we'll also show you other persons at the address, year registered and other info too - 24 hours access is just £3.50 with unlimited searches. 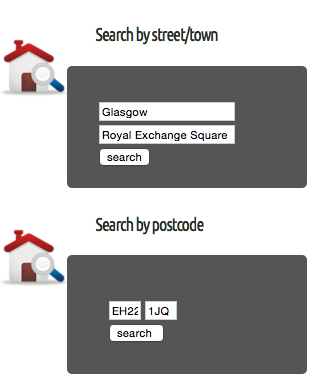 This is just one record from over 400 million entries we have available to search"
" BATHGATE - click to expand town entries - we'll also show you other persons at the address, year registered and other info too - 24 hours access is just £3.50 with unlimited searches. This is just one record from over 400 million entries we have available to search"
" BATLEY - click to expand town entries - we'll also show you other persons at the address, year registered and other info too - 24 hours access is just £3.50 with unlimited searches. This is just one record from over 400 million entries we have available to search"
" BATTLE - click to expand town entries - we'll also show you other persons at the address, year registered and other info too - 24 hours access is just £3.50 with unlimited searches. This is just one record from over 400 million entries we have available to search"
" BEACONSFIELD - click to expand town entries - we'll also show you other persons at the address, year registered and other info too - 24 hours access is just £3.50 with unlimited searches. This is just one record from over 400 million entries we have available to search"
" BEAMINSTER - click to expand town entries - we'll also show you other persons at the address, year registered and other info too - 24 hours access is just £3.50 with unlimited searches. This is just one record from over 400 million entries we have available to search"
" BEAULY - click to expand town entries - we'll also show you other persons at the address, year registered and other info too - 24 hours access is just £3.50 with unlimited searches. This is just one record from over 400 million entries we have available to search"
" BEAUMARIS - click to expand town entries - we'll also show you other persons at the address, year registered and other info too - 24 hours access is just £3.50 with unlimited searches. This is just one record from over 400 million entries we have available to search"
" BEAWORTHY - click to expand town entries - we'll also show you other persons at the address, year registered and other info too - 24 hours access is just £3.50 with unlimited searches. This is just one record from over 400 million entries we have available to search"
" BECCLES - click to expand town entries - we'll also show you other persons at the address, year registered and other info too - 24 hours access is just £3.50 with unlimited searches. This is just one record from over 400 million entries we have available to search"
" BECKENHAM - click to expand town entries - we'll also show you other persons at the address, year registered and other info too - 24 hours access is just £3.50 with unlimited searches. This is just one record from over 400 million entries we have available to search"
" BECKERMET - click to expand town entries - we'll also show you other persons at the address, year registered and other info too - 24 hours access is just £3.50 with unlimited searches. This is just one record from over 400 million entries we have available to search"
" BEDALE - click to expand town entries - we'll also show you other persons at the address, year registered and other info too - 24 hours access is just £3.50 with unlimited searches. This is just one record from over 400 million entries we have available to search"
" BEDFORD - click to expand town entries - we'll also show you other persons at the address, year registered and other info too - 24 hours access is just £3.50 with unlimited searches. This is just one record from over 400 million entries we have available to search"
" BEDLINGTON - click to expand town entries - we'll also show you other persons at the address, year registered and other info too - 24 hours access is just £3.50 with unlimited searches. This is just one record from over 400 million entries we have available to search"
" BEDWORTH - click to expand town entries - we'll also show you other persons at the address, year registered and other info too - 24 hours access is just £3.50 with unlimited searches. This is just one record from over 400 million entries we have available to search"
" BEITH - click to expand town entries - we'll also show you other persons at the address, year registered and other info too - 24 hours access is just £3.50 with unlimited searches. This is just one record from over 400 million entries we have available to search"
" BELFAST - click to expand town entries - we'll also show you other persons at the address, year registered and other info too - 24 hours access is just £3.50 with unlimited searches. This is just one record from over 400 million entries we have available to search"
" BELFORD - click to expand town entries - we'll also show you other persons at the address, year registered and other info too - 24 hours access is just £3.50 with unlimited searches. This is just one record from over 400 million entries we have available to search"
" BELLSHILL - click to expand town entries - we'll also show you other persons at the address, year registered and other info too - 24 hours access is just £3.50 with unlimited searches. This is just one record from over 400 million entries we have available to search"
" BELPER - click to expand town entries - we'll also show you other persons at the address, year registered and other info too - 24 hours access is just £3.50 with unlimited searches. This is just one record from over 400 million entries we have available to search"
" BELVEDERE - click to expand town entries - we'll also show you other persons at the address, year registered and other info too - 24 hours access is just £3.50 with unlimited searches. This is just one record from over 400 million entries we have available to search"
" BEMBRIDGE - click to expand town entries - we'll also show you other persons at the address, year registered and other info too - 24 hours access is just £3.50 with unlimited searches. This is just one record from over 400 million entries we have available to search"
" BENFLEET - click to expand town entries - we'll also show you other persons at the address, year registered and other info too - 24 hours access is just £3.50 with unlimited searches. This is just one record from over 400 million entries we have available to search"
" BERKELEY - click to expand town entries - we'll also show you other persons at the address, year registered and other info too - 24 hours access is just £3.50 with unlimited searches. This is just one record from over 400 million entries we have available to search"
" BERKHAMSTED - click to expand town entries - we'll also show you other persons at the address, year registered and other info too - 24 hours access is just £3.50 with unlimited searches. This is just one record from over 400 million entries we have available to search"
" BERRIEDALE - click to expand town entries - we'll also show you other persons at the address, year registered and other info too - 24 hours access is just £3.50 with unlimited searches. This is just one record from over 400 million entries we have available to search"
" BERWICK UPON TWEED - click to expand town entries - we'll also show you other persons at the address, year registered and other info too - 24 hours access is just £3.50 with unlimited searches. This is just one record from over 400 million entries we have available to search"
" BETCHWORTH - click to expand town entries - we'll also show you other persons at the address, year registered and other info too - 24 hours access is just £3.50 with unlimited searches. This is just one record from over 400 million entries we have available to search"
" BETWS Y COED - click to expand town entries - we'll also show you other persons at the address, year registered and other info too - 24 hours access is just £3.50 with unlimited searches. This is just one record from over 400 million entries we have available to search"
" BEVERLEY - click to expand town entries - we'll also show you other persons at the address, year registered and other info too - 24 hours access is just £3.50 with unlimited searches. This is just one record from over 400 million entries we have available to search"
" BEWDLEY - click to expand town entries - we'll also show you other persons at the address, year registered and other info too - 24 hours access is just £3.50 with unlimited searches. This is just one record from over 400 million entries we have available to search"
" BEXHILL ON SEA - click to expand town entries - we'll also show you other persons at the address, year registered and other info too - 24 hours access is just £3.50 with unlimited searches. This is just one record from over 400 million entries we have available to search"
" BEXLEY - click to expand town entries - we'll also show you other persons at the address, year registered and other info too - 24 hours access is just £3.50 with unlimited searches. This is just one record from over 400 million entries we have available to search"
" BEXLEYHEATH - click to expand town entries - we'll also show you other persons at the address, year registered and other info too - 24 hours access is just £3.50 with unlimited searches. This is just one record from over 400 million entries we have available to search"
" BICESTER - click to expand town entries - we'll also show you other persons at the address, year registered and other info too - 24 hours access is just £3.50 with unlimited searches. This is just one record from over 400 million entries we have available to search"
" BIDEFORD - click to expand town entries - we'll also show you other persons at the address, year registered and other info too - 24 hours access is just £3.50 with unlimited searches. This is just one record from over 400 million entries we have available to search"
" BIGGAR - click to expand town entries - we'll also show you other persons at the address, year registered and other info too - 24 hours access is just £3.50 with unlimited searches. This is just one record from over 400 million entries we have available to search"
" BIGGLESWADE - click to expand town entries - we'll also show you other persons at the address, year registered and other info too - 24 hours access is just £3.50 with unlimited searches. This is just one record from over 400 million entries we have available to search"
" BILLERICAY - click to expand town entries - we'll also show you other persons at the address, year registered and other info too - 24 hours access is just £3.50 with unlimited searches. This is just one record from over 400 million entries we have available to search"
" BILLINGHAM - click to expand town entries - we'll also show you other persons at the address, year registered and other info too - 24 hours access is just £3.50 with unlimited searches. This is just one record from over 400 million entries we have available to search"
" BILLINGSHURST - click to expand town entries - we'll also show you other persons at the address, year registered and other info too - 24 hours access is just £3.50 with unlimited searches. This is just one record from over 400 million entries we have available to search"
" BILSTON - click to expand town entries - we'll also show you other persons at the address, year registered and other info too - 24 hours access is just £3.50 with unlimited searches. This is just one record from over 400 million entries we have available to search"
" BINGLEY - click to expand town entries - we'll also show you other persons at the address, year registered and other info too - 24 hours access is just £3.50 with unlimited searches. This is just one record from over 400 million entries we have available to search"
" BIRCHINGTON - click to expand town entries - we'll also show you other persons at the address, year registered and other info too - 24 hours access is just £3.50 with unlimited searches. This is just one record from over 400 million entries we have available to search"
" BIRKENHEAD - click to expand town entries - we'll also show you other persons at the address, year registered and other info too - 24 hours access is just £3.50 with unlimited searches. This is just one record from over 400 million entries we have available to search"
" BIRMINGHAM - click to expand town entries - we'll also show you other persons at the address, year registered and other info too - 24 hours access is just £3.50 with unlimited searches. This is just one record from over 400 million entries we have available to search"
" BISHOP AUCKLAND - click to expand town entries - we'll also show you other persons at the address, year registered and other info too - 24 hours access is just £3.50 with unlimited searches. This is just one record from over 400 million entries we have available to search"
" BISHOPS CASTLE - click to expand town entries - we'll also show you other persons at the address, year registered and other info too - 24 hours access is just £3.50 with unlimited searches. This is just one record from over 400 million entries we have available to search"
" BISHOPS STORTFORD - click to expand town entries - we'll also show you other persons at the address, year registered and other info too - 24 hours access is just £3.50 with unlimited searches. This is just one record from over 400 million entries we have available to search"
" BISHOPTON - click to expand town entries - we'll also show you other persons at the address, year registered and other info too - 24 hours access is just £3.50 with unlimited searches. This is just one record from over 400 million entries we have available to search"
" BLACKBURN - click to expand town entries - we'll also show you other persons at the address, year registered and other info too - 24 hours access is just £3.50 with unlimited searches. This is just one record from over 400 million entries we have available to search"
" BLACKPOOL - click to expand town entries - we'll also show you other persons at the address, year registered and other info too - 24 hours access is just £3.50 with unlimited searches. This is just one record from over 400 million entries we have available to search"
" BLACKWOOD - click to expand town entries - we'll also show you other persons at the address, year registered and other info too - 24 hours access is just £3.50 with unlimited searches. This is just one record from over 400 million entries we have available to search"
" BLAENAU FFESTINIOG - click to expand town entries - we'll also show you other persons at the address, year registered and other info too - 24 hours access is just £3.50 with unlimited searches. This is just one record from over 400 million entries we have available to search"
" BLAIRGOWRIE - click to expand town entries - we'll also show you other persons at the address, year registered and other info too - 24 hours access is just £3.50 with unlimited searches. This is just one record from over 400 million entries we have available to search"
" BLAKENEY - click to expand town entries - we'll also show you other persons at the address, year registered and other info too - 24 hours access is just £3.50 with unlimited searches. This is just one record from over 400 million entries we have available to search"
" BLANDFORD FORUM - click to expand town entries - we'll also show you other persons at the address, year registered and other info too - 24 hours access is just £3.50 with unlimited searches. This is just one record from over 400 million entries we have available to search"
" BLAYDON ON TYNE - click to expand town entries - we'll also show you other persons at the address, year registered and other info too - 24 hours access is just £3.50 with unlimited searches. This is just one record from over 400 million entries we have available to search"
" BLYTH - click to expand town entries - we'll also show you other persons at the address, year registered and other info too - 24 hours access is just £3.50 with unlimited searches. This is just one record from over 400 million entries we have available to search"
" BOAT OF GARTEN - click to expand town entries - we'll also show you other persons at the address, year registered and other info too - 24 hours access is just £3.50 with unlimited searches. This is just one record from over 400 million entries we have available to search"
" BODMIN - click to expand town entries - we'll also show you other persons at the address, year registered and other info too - 24 hours access is just £3.50 with unlimited searches. This is just one record from over 400 million entries we have available to search"
" BODORGAN - click to expand town entries - we'll also show you other persons at the address, year registered and other info too - 24 hours access is just £3.50 with unlimited searches. This is just one record from over 400 million entries we have available to search"
" BOGNOR REGIS - click to expand town entries - we'll also show you other persons at the address, year registered and other info too - 24 hours access is just £3.50 with unlimited searches. This is just one record from over 400 million entries we have available to search"
" BOLDON COLLIERY - click to expand town entries - we'll also show you other persons at the address, year registered and other info too - 24 hours access is just £3.50 with unlimited searches. This is just one record from over 400 million entries we have available to search"
" BOLTON - click to expand town entries - we'll also show you other persons at the address, year registered and other info too - 24 hours access is just £3.50 with unlimited searches. This is just one record from over 400 million entries we have available to search"
" BONCATH - click to expand town entries - we'll also show you other persons at the address, year registered and other info too - 24 hours access is just £3.50 with unlimited searches. This is just one record from over 400 million entries we have available to search"
" BONESS - click to expand town entries - we'll also show you other persons at the address, year registered and other info too - 24 hours access is just £3.50 with unlimited searches. This is just one record from over 400 million entries we have available to search"
" BONNYBRIDGE - click to expand town entries - we'll also show you other persons at the address, year registered and other info too - 24 hours access is just £3.50 with unlimited searches. This is just one record from over 400 million entries we have available to search"
" BONNYRIGG - click to expand town entries - we'll also show you other persons at the address, year registered and other info too - 24 hours access is just £3.50 with unlimited searches. 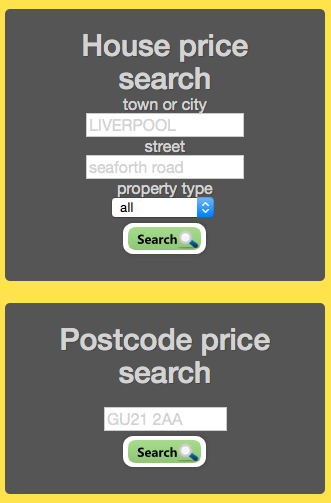 This is just one record from over 400 million entries we have available to search"
" BOOTLE - click to expand town entries - we'll also show you other persons at the address, year registered and other info too - 24 hours access is just £3.50 with unlimited searches. This is just one record from over 400 million entries we have available to search"
" BORDON - click to expand town entries - we'll also show you other persons at the address, year registered and other info too - 24 hours access is just £3.50 with unlimited searches. This is just one record from over 400 million entries we have available to search"
" BOREHAMWOOD - click to expand town entries - we'll also show you other persons at the address, year registered and other info too - 24 hours access is just £3.50 with unlimited searches. This is just one record from over 400 million entries we have available to search"
" BORTH - click to expand town entries - we'll also show you other persons at the address, year registered and other info too - 24 hours access is just £3.50 with unlimited searches. This is just one record from over 400 million entries we have available to search"
" BOSCASTLE - click to expand town entries - we'll also show you other persons at the address, year registered and other info too - 24 hours access is just £3.50 with unlimited searches. This is just one record from over 400 million entries we have available to search"
" BOSTON - click to expand town entries - we'll also show you other persons at the address, year registered and other info too - 24 hours access is just £3.50 with unlimited searches. This is just one record from over 400 million entries we have available to search"
" BOURNE - click to expand town entries - we'll also show you other persons at the address, year registered and other info too - 24 hours access is just £3.50 with unlimited searches. This is just one record from over 400 million entries we have available to search"
" BOURNE END - click to expand town entries - we'll also show you other persons at the address, year registered and other info too - 24 hours access is just £3.50 with unlimited searches. This is just one record from over 400 million entries we have available to search"
" BOURNEMOUTH - click to expand town entries - we'll also show you other persons at the address, year registered and other info too - 24 hours access is just £3.50 with unlimited searches. This is just one record from over 400 million entries we have available to search"
" BOW STREET - click to expand town entries - we'll also show you other persons at the address, year registered and other info too - 24 hours access is just £3.50 with unlimited searches. This is just one record from over 400 million entries we have available to search"
" BRACKLEY - click to expand town entries - we'll also show you other persons at the address, year registered and other info too - 24 hours access is just £3.50 with unlimited searches. This is just one record from over 400 million entries we have available to search"
" BRACKNELL - click to expand town entries - we'll also show you other persons at the address, year registered and other info too - 24 hours access is just £3.50 with unlimited searches. This is just one record from over 400 million entries we have available to search"
" BRADFORD - click to expand town entries - we'll also show you other persons at the address, year registered and other info too - 24 hours access is just £3.50 with unlimited searches. This is just one record from over 400 million entries we have available to search"
" BRADFORD ON AVON - click to expand town entries - we'll also show you other persons at the address, year registered and other info too - 24 hours access is just £3.50 with unlimited searches. This is just one record from over 400 million entries we have available to search"
" BRAINTREE - click to expand town entries - we'll also show you other persons at the address, year registered and other info too - 24 hours access is just £3.50 with unlimited searches. This is just one record from over 400 million entries we have available to search"
" BRAMPTON - click to expand town entries - we'll also show you other persons at the address, year registered and other info too - 24 hours access is just £3.50 with unlimited searches. This is just one record from over 400 million entries we have available to search"
" BRANDON - click to expand town entries - we'll also show you other persons at the address, year registered and other info too - 24 hours access is just £3.50 with unlimited searches. This is just one record from over 400 million entries we have available to search"
" BRAUNTON - click to expand town entries - we'll also show you other persons at the address, year registered and other info too - 24 hours access is just £3.50 with unlimited searches. This is just one record from over 400 million entries we have available to search"